do bass have an ideal season? a must have for your tackle box! Anyone Have A Diagram for a Double Pulley rig please? 6 inch nails as weights. Best way to hold a ray? 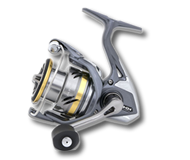 what's the correct way to load a fixed spool reel with line? knot for putting new line on fixed spool reel?